Our friend Rich Brueckner at insideHPC has just written an article with the provocative title, "Companies are moving Mission Critical Apps to the Cloud". The article discusses the results of a CloudFoundry survey about cloud adoption and digital transformation. There are two key themes from the survey and Rich's discussion that I want to pick up on: heterogeneity and continuous change. These are two themes that our enterprise customers are dealing with, and I'd like to talk about how UberCloud addresses them. Our customers are in the middle of a Digital Transformation. But as the CloudFoundry survey illuminates, this is not a one-time activity to be completed. Instead, it is an ongoing process to be efficiently managed. This process is characterized by a bunch of moving parts, and non-stop motion. Point-solutions such as cloud portals are of limited use and don't really help customers in this journey. Rather, customers need a holistic approach built around key technology enablers. One of those enablers is another focus of the CloudFoundry survey: containers. Today, containers are on everyone's mind. The reason: they deal very effectively with today's IT challenges. Digital transformation includes a shift from the world of fixed workstations and HPC clusters, to more fluid, dynamic IT. In this new world the infrastructure is 'composed' on the fly. The end user wants to define the resources she needs, push a button and have it built on the fly from the most optimal hardware. Once she is done with her work, she pushes a button to release the resources, and not be charged any more. All of this can be accomplished amazingly well with containers. 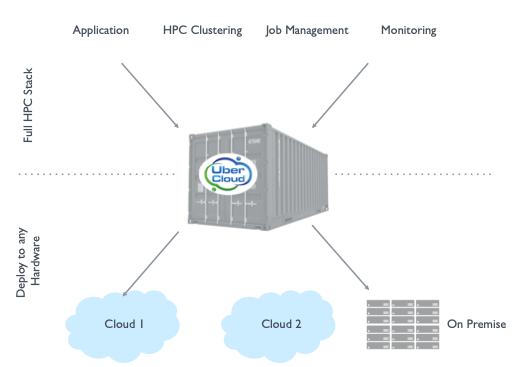 At UberCloud we embraced containers back in 2013 and our first HPC containers shipped in 2014. In the early days, the container was an internal tool that made UberCloud operations easier. We used containers to deliver HPC applications as SaaS to our customers. But as those customers have matured in their cloud journey, they want to have the same capability to deploy and manage their own HPC applications. And containers fit that need. 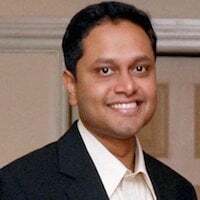 The message emerging from customers is this: "my digital transformation agenda needs all the powerful capabilities of hybrid infrastructure, without any of the complexity." If you share this need, give us a call and let's talk.